Researchers have developed a new catalyst to synthesise aromatic amines, which are central building blocks in many drugs and pesticides. The system is more active than conventional catalysts, so less energy is required during the reaction, and difficult compounds can be synthesized. The teams led by Professor Viktoria Däschlein-Gessner and Professor Lukas Gooßen, who work together at Ruhr-Universität Bochum as part of the Ruhr Explores Solvation cluster of excellence, report on the results in the journal Angewandte Chemie, published online in advance on 19 November 2018. Bonds between carbon and nitrogen atoms must be formed to produce aromatic amines – ring-shaped nitrogen-containing compounds. The starting materials are certain nitrogen compounds, primary or secondary amines, and ring-shaped compounds, which initially do not contain nitrogen and are referred to as aryl halides. The reaction is only possible with a palladium catalyst. By attaching organic groups – called ligands – to the metal catalyst, the Bochum chemists succeeded in significantly increasing the efficiency of the reaction. "With the newly developed ligand system, we have increased the activity of the palladium catalysts to such an extent that the reaction is faster and more efficient than with the systems optimised over many years," says Viktoria Däschlein-Gessner. Research groups all over the world are working intensively on the targeted design of such ligands. "However, the activity of the new developments rarely comes close to that of the catalysts that have been continuously optimised over decades," continues Däschlein-Gessner. The newly designed system in Bochum immediately proved to be more active than the systems used in industry. It can be used to couple chlorine-containing aromatic compounds with many different amines at room temperature within one hour. With existing catalysts, this often takes several hours and temperatures of 100 degrees Celsius and more. "Even after many optimisation rounds, the established catalysts in this area do not seem to have much room for improvement," says Lukas Gooßen. "However, our ligand system opens up new possibilities for increasing efficiency." 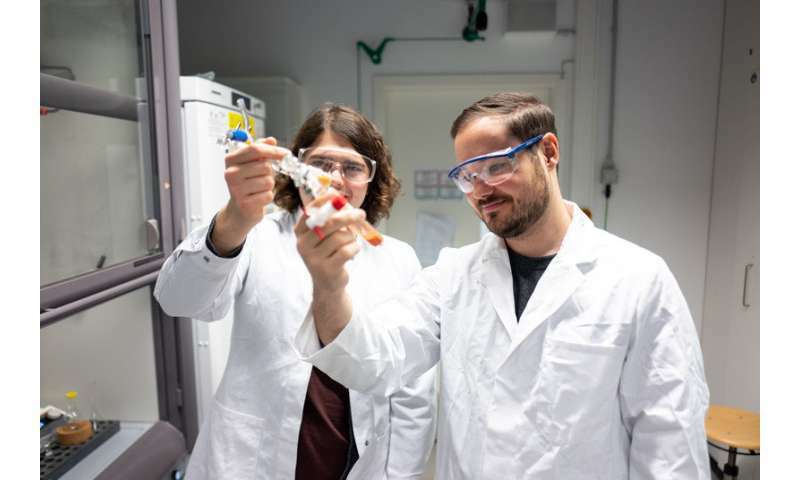 The Chair of Organic Chemistry I, headed by Lukas Gooßen, and the Chair of Inorganic Chemistry II, headed by Viktoria Däschlein-Gessner, are working together to optimise catalyst structures and test whether the developed systems can be transferred to other reaction types. An industrial partner has already become aware of the new system and is working on preparing it for the market and using it on an industrial scale.